Photo: Holly Knoll (Robert R. Morton House), ca. 1935, Route 662, Capahosic, VA. 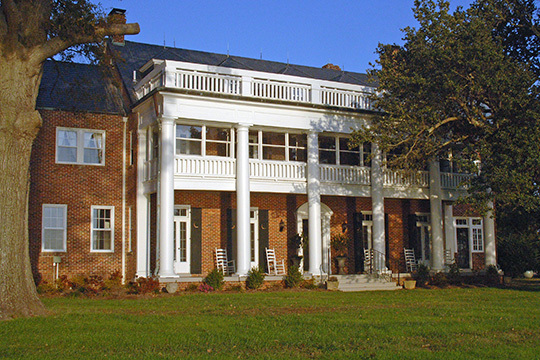 Designated a National Historic Landmark and listed on the National Register of Historic Places in 1981. Photographed by User:Jerrye & Roy Klotz MD (own work), 2007, [cc-by-3.0 (creativecommons.org/licenses/by/3.0)], via Wikimedia Commons, accessed April, 2015. The Gloucester County Courthouse is located at 7400 Justice Drive, Gloucester Courthouse, VA 23061; phone: 804-693-4860. Gloucester has its roots in the earliest settlement period of Virginia, with settlers living in what is now Gloucester County by the early 1600s. The county was officially created in 1651, when it was separated from existing York County.